Start of the Sixth Syrian War between Ptolemaic Egypt and the Seleucid Empire. This year, the war against King Perseus of Macedonia continued with new commanders, but little success in the field. It seems likely that after years of fairly easy victories the Romans had become overconfident. Their army was underperforming and discipline within the legions was poor. One of the problems seems to have been that Roman officers tried to increase their popularity with the men by generously allowing them to take leave whenever they wanted. This left the Roman army under strength as well. It was no longer the coherent fighting force that had smashed the armies of Perseus’ father Philippos almost three decades ago. Some of the equipment of a triarius. While he was waiting for the new consul to relieve him of his command, the proconsul Publius Licinius Crassus had campaigned in Boeotia and had captured and sacked the city of Koroneia, probably the last of the Boeotian cities that was still openly loyal to Perseus. Haliartos and Thisbai had already been taken the previous year. Crassus’ successor was Aulus Hostilius Mancinus, who arrived in Epirus in the spring of this year. Unfortunately for the new consul, part of the Epirotes had just defected to Perseus. They told the king that the consul was travelling through their territories. Near Phanoteia, Perseus almost managed to capture his opponent, who was warned just in time to take a different route to Thessaly. Mancinus would prove to be just as unsuccessful as Crassus, and he too failed to force his way into Macedonia. Although details of his campaign are sadly lacking – about 40 pages of Livius’ Book 43 are lost – we may assume that the consul first attempted to take a mountain route through Elimiotis in Upper Macedonia. This was difficult terrain, and Perseus seems to have repulsed the consul’s attempt to break through with ease. When Mancinus tried a different route through Thessaly, a confident Perseus offered battle, but the consul refused to accept. The lack of results seems to have worried the consul. The loyalty of Rome’s Greek allies depended on the Romans winning battles and wars with ease, and this was not the case now. The Molossians of Epirus had already sided with Perseus, and in order to prevent more allies from defecting, Mancinus sent a diplomatic delegation through all of Greece on a mission to create goodwill for the Roman cause. Gaius Popilius Laenas, the consul of 172 BCE, was one of the envoys. The Roman diplomats visited Thebes in Boeotia before attending a meeting of Achaean League that was held in Aigion. The Achaeans had just elected the future historian Polybius as their cavalry commander or hipparchon. 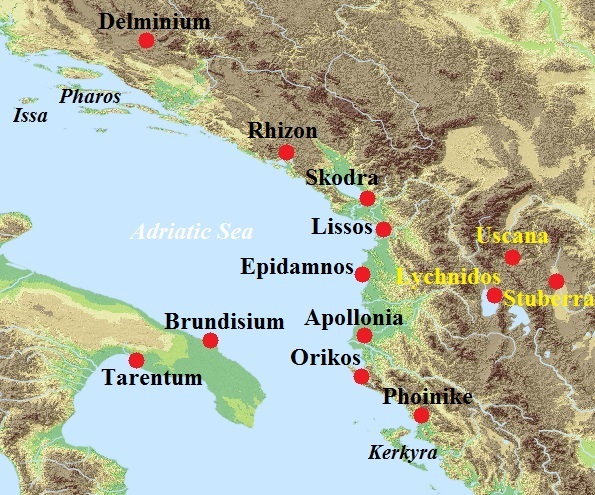 The Roman envoys then proceeded to Thermon in Aetolia, which was on the brink of a civil war, and finally visited Akarnania, before returning to the consul in Larisa. In the meantime, the praetor Gaius Lucretius Gallus had been replaced by Lucius Hortensius as commander of the fleet. Hortensius had joined forces with King Eumenes of Pergamum and had started raiding the coast of Macedonia and Thrace. One of their targets was the city of Abdera. The praetor arrogantly demanded a sum of 100.000 denarii from the citizens, as well as 50.000 bushel of wheat. Knowing they did not stand a chance against the enemy’s superior numbers, the citizens of Abdera asked to be allowed to send a delegation to the consul and the Senate. Hortensius agreed, but after the envoys had left attacked the city anyway. It was ultimately betrayed to the Romans, who sacked it, executed the leaders and sold the rest of the population as slaves. Pleased with his victory, the praetor returned to Chalkis. He probably felt that he had partly erased a humiliating blow dealt by Perseus earlier that year. 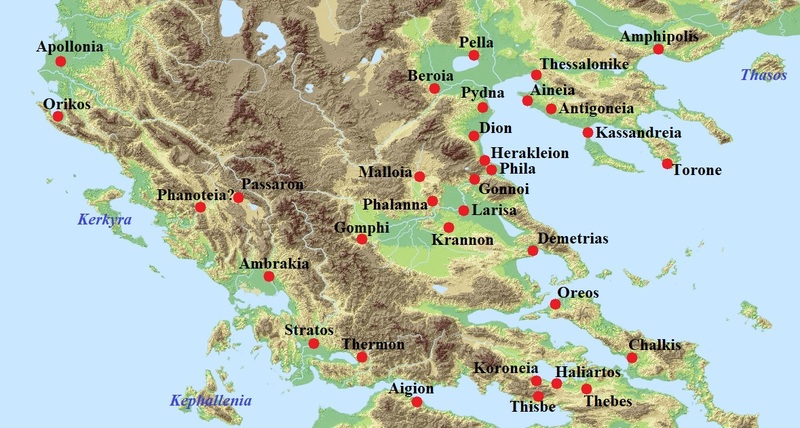 The Macedonian king and his fleet had managed catch the Roman transport fleet by surprise when it was anchored near Oreos on Euboea. Twenty cargo ships had been captured, as well as four quinqueremes that escorted the fleet. The rest of the cargo ships had been sunk. Although the chronology of events is a bit hazy, Perseus also fought against the Dardani this year, thoroughly defeating them in a brief campaign. He furthermore made plan to invade Illyria with the aim of getting the powerful Illyrian king Genthios on his side. It was well known that, unlike his father Pleuratos before him, Genthios felt little love for the Romans, even though they were formally still his allies (see 181 BCE). Around the time of the winter solstice (21 December), the Macedonian king made his camp at Stuberra (usually identified as modern Prilep in the Republic of Macedonia). From there, he marched on Uscana, the most important city of the Illyrian tribe the Penestae. 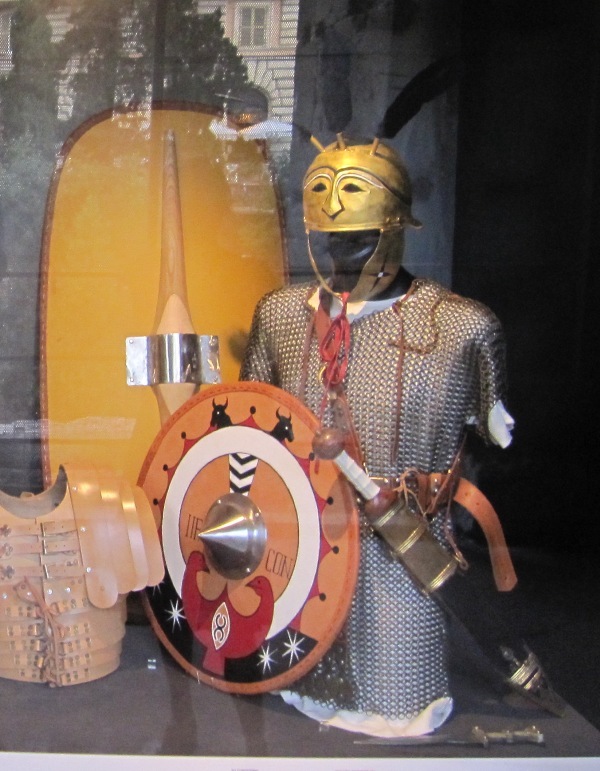 The city was not only defended by native Illyrians, but also by a Roman garrison. When the defenders refused to surrender, Perseus decided to storm the city. The Romans and Illyrians had few provisions and knew that they would not be able to hold out for long. In the end, the Roman garrison asked the king for permission to leave Uscana with their possessions. The king gave his word, and then confiscated their possessions anyway and took the Romans into custody. Around the turn of the year, the Illyrians surrendered and a Macedonian garrison was stationed at Uscana. Back at home, the former praetor Gaius Lucretius Gallus was decried by the people’s tribunes for his actions in Boeotia and his greed and avarice. A little later envoys arrived from Abdera to complain about the way their city had been treated by Gallus’ successor Hortensius. The Senate was outraged when it heard about the praetor’s actions and demanded that the citizens of Abdera were given back their freedom. Complaints against the former consul Crassus for his actions in Boeotia were also upheld and similar decisions regarding the restoration of the freedom of the citizens were taken. And there were more complaints. The former consul Gaius Cassius Longinus, the man who had tried to reach Macedonia by land the previous year, was accused by several peoples – among them Celts, Carni, Histri and Iapydes – of gross misconduct. He had reportedly destroyed fields, burnt crops and reduced people to slavery. The Senate declared that it firmly denounced and condemned these actions, if the accusations were in fact true. The senators could not ask Cassius himself, who was now serving as a tribune with the consul Mancinus in Macedonia. The former consul may have deliberately joined the army of the new consul: it was the perfect way to fight in the war he had wanted to join anyway, and in this way he escaped prosecution for his crimes. Although the Senate promised to investigate the matter further, no trial against Cassius is known from our sources. On a side note, Scipio Africanus’ old friend Gaius Laelius was sent as an envoy to the Celts living across the Alps. Laelius must have been well into his sixties at the time and this was probably his last public performance. What the Roman commanders lacked in talent, they made up in greed. Later this year, the citizens of Chalkis also filed complaints against both Gaius Lucretius Gallus and Lucius Hortensius. 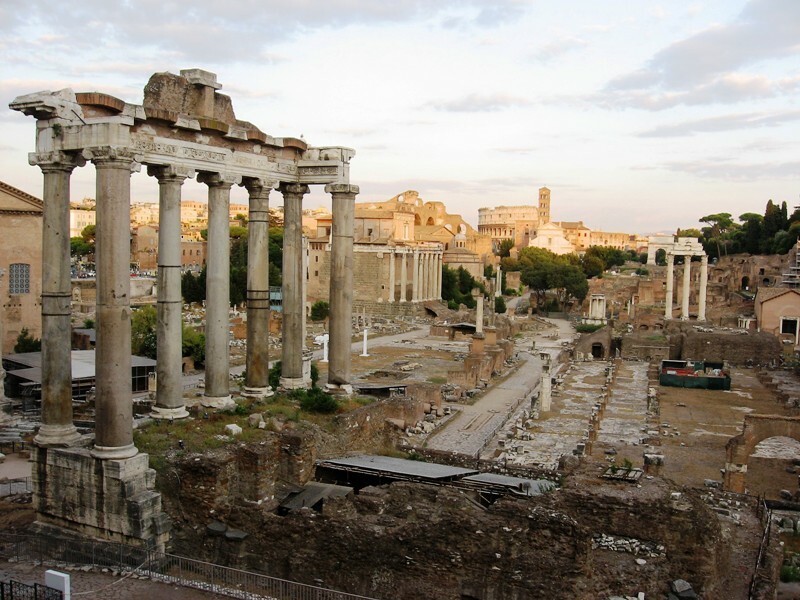 The former was accused of having desecrated temples by stripping them of their ornaments and having these shipped to his villa in Antium, Italy. He had also enslaved free citizens and stolen their possessions. Hortensius had commandeered houses in Chalkis and had billeted his sailors and marines there. The Senate now clearly had enough. Lucretius, who was staying at his villa, was ordered to appear in the Curia and severely harangued. Two people’s tribunes then dragged him before the popular assembly to stand trial. He was convicted by all of the 35 tribus and given a fine of a million as. The Senate also decided to send an angry letter to Hortensius in Chalkis, ordering him to make amends with the locals. The other consul of this year, Aulus Atilius Serranus, had a fairly easy year. He had been given Liguria as his province and not much had happened there. In Spain there was a brief revolt of the Celtiberians led by a certain Olonicus or Olyndicus, but it quickly faltered when this chieftain was killed. According to the Roman historian Florus (ca. 74-130), this Olonicus had been “brandishing a silver spear which he claimed had been sent from heaven, and [had been] behaving like a prophet”. He had tried to infiltrate the Roman camp during the night, probably aiming to kill the praetor in his tent. However, he was discovered by the guards and promptly taken care of. The praetor had his head taken to the enemy camp, and the Celtiberians were so shocked that they immediately offered to end all hostilities. The praetor pardoned them for their revolt and Spain was once again at peace. 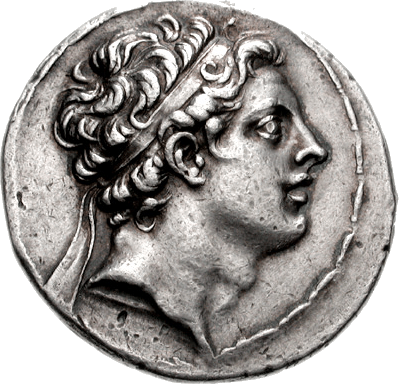 Antiochos IV Epiphanes (source: Classical Numismatic Group, Inc.). Also this year, a new war broke out between the Seleucid Empire and Ptolemaic Egypt. The conflict is generally known as the Sixth Syrian War and it was once again fought over the region called Koile Syria. 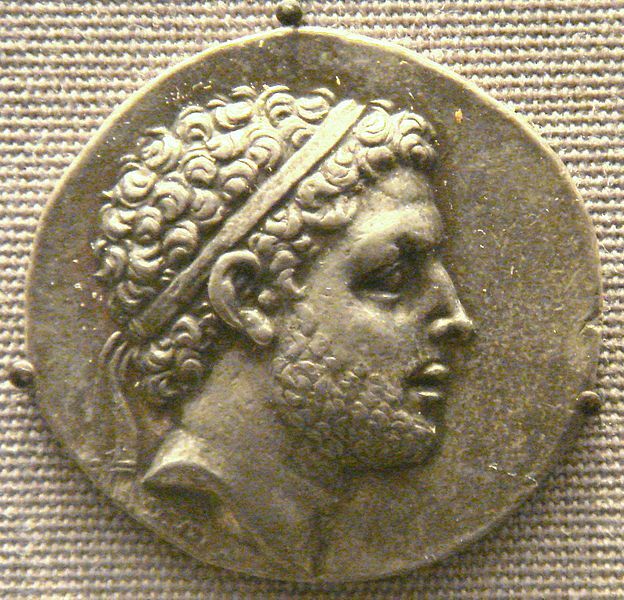 The Egyptian king Ptolemaios VI Philometor was now perhaps sixteen years old and had apparently been persuaded by his courtiers to declare war on King Antiochos IV. It was a decision that was to prove foolish the next year. Both kings now sent embassies to Rome. Those of Antiochos’ complained about the aggression and faithlessness of the Egyptians, but the Romans for the moment decided to stay neutral. They were too much taken up with the war against Macedonia and had no intention of intervening on behalf of either the Ptolemies – their traditional allies – or the Seleucids. The conflict did have serious consequences for another Roman ally: Rhodos. The Rhodians were now no longer able to import grain from Egypt. The Senate thereupon decided that the Rhodians would be given permission to import grain from Sicily instead. Polybius, The Histories, Book 27.16 and 27.19, Book 28.1-28.7 and Book 30.7. Also called Elimeia or Elimaea, see Plutarchus, The Life of Aemilius 9.4.